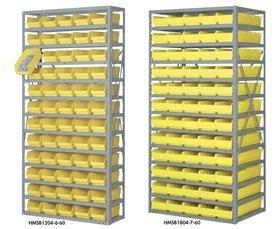 Rugged 20 ga. steel shelving combines with sturdy storage bins for greater efficiency. Complete with 13 shelves. 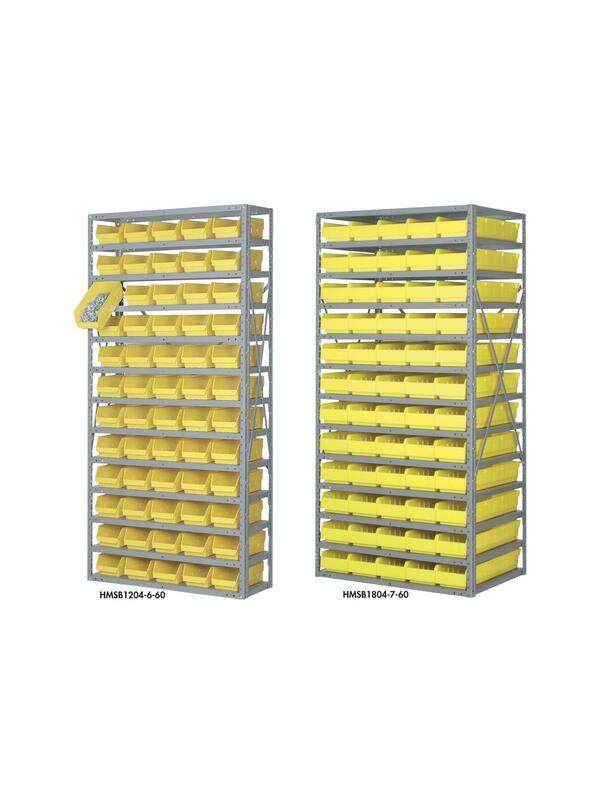 Easy to assemble nut and bolt construction. Ships unassembled. 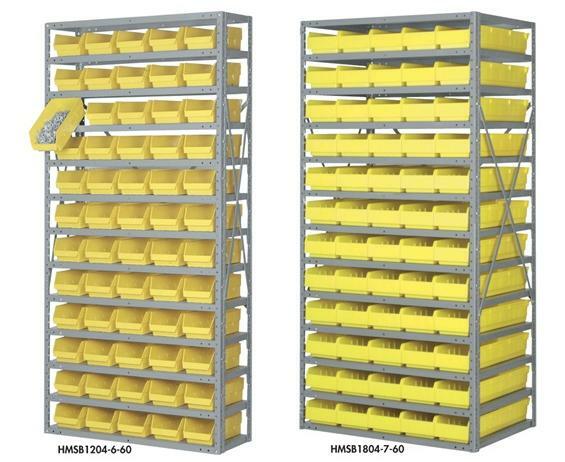 Bins available in Red, Blue, Yellow, or Green. FOB Shipping Point. 17.9 x 4.1 x 4"17.9 4.1 4"